My email address is on gmail and is sqlstudent144. Feel free to drop me a line and say hi, make comments or anything else. I’ll do my best to reply to everything reasonable but I can’t promise how quickly it will be. 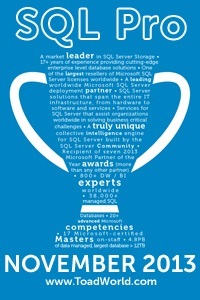 If you have questions or need help I will certainly be happy to do what I can, however, you would be better off posting your questions on http://www.sqlservercentral.com/forums or http://dba.stackexchange.com/ or some other forum so that more people than just me are looking at them. Feel free to email me with a link asking me to take a look though.